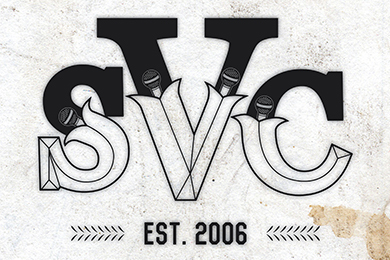 Spoken Views Collective, created by Iain “Emic” Watson & Tony “Talik” Walker in the late part of 2006, is a collective of spoken word poets, writers, artists and musicians that host a monthly open-mic style showcase monthly at Holland. Each event features the core group of Spoken Views poets, new readers, occasional readers, a featured guest poet, and a musical act. These events have brought a crowd and participating group of readers from all walks of life, young & old. Spoken Views seeks to bring awareness to Reno’s forever growing art scene, while supporting expression through poetry, performance, writing, words, and voice. Spoken Views also works to provide opportunities for people of all-ages and skill sets to hone and perfect their craft. In addition to the monthly events, Spoken Views hosts spoken word and slam events city-wide, as well as produces a Speakeasy event—in which live jazz accompanies the poetry. Check the calendar to see upcoming Spoken Views events at Holland, or visit them on Facebook by clicking HERE.